Don't miss a beat with the Logitech Rechargeable Speaker S315i. It features a power saving mode that will stream music 20 hours a day, at home or wherever you are. Not only do you get long-lasting sounds, but the sounds are sharp and crisp thanks to a full-range driver that delivers exceptional sound quality. 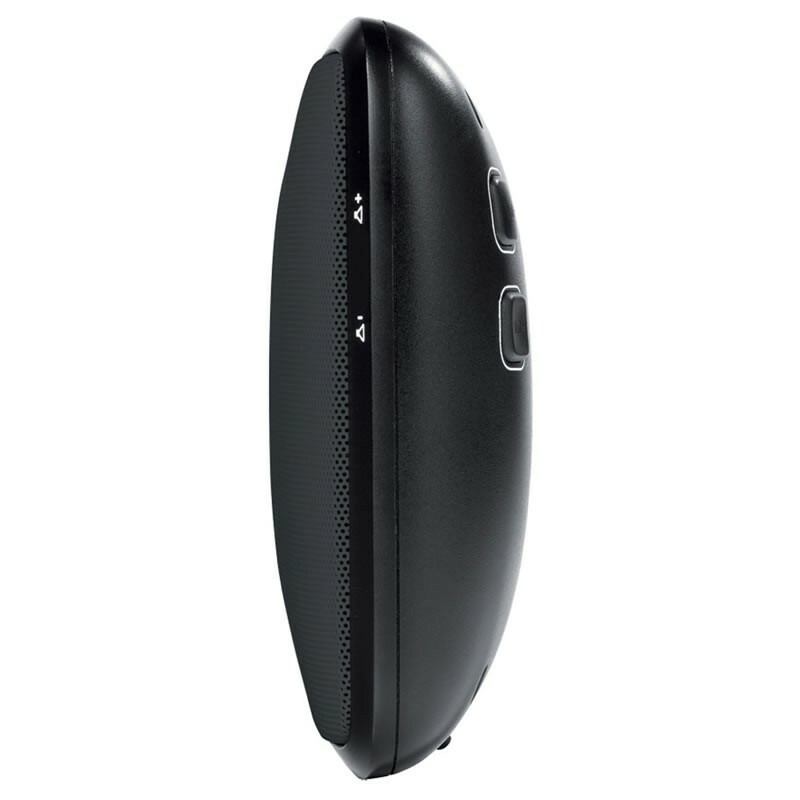 Listen to 20 hours of music on your iPod or iPod with the Logitech Rechargeable Speaker S315i. Take your sounds with you with this sleek, stylish package that's just 1.47 pounds and measures 1.8 x 10.8 x 5.2. It's long lasting for many hours of music enjoyment – at home or on the go. Listen to music wherever you go, with just the right highs and lows. Listen to any computer, MP3 or portable DVD player with the S315i's 3.5 mm jack for maximum auxiliary input. 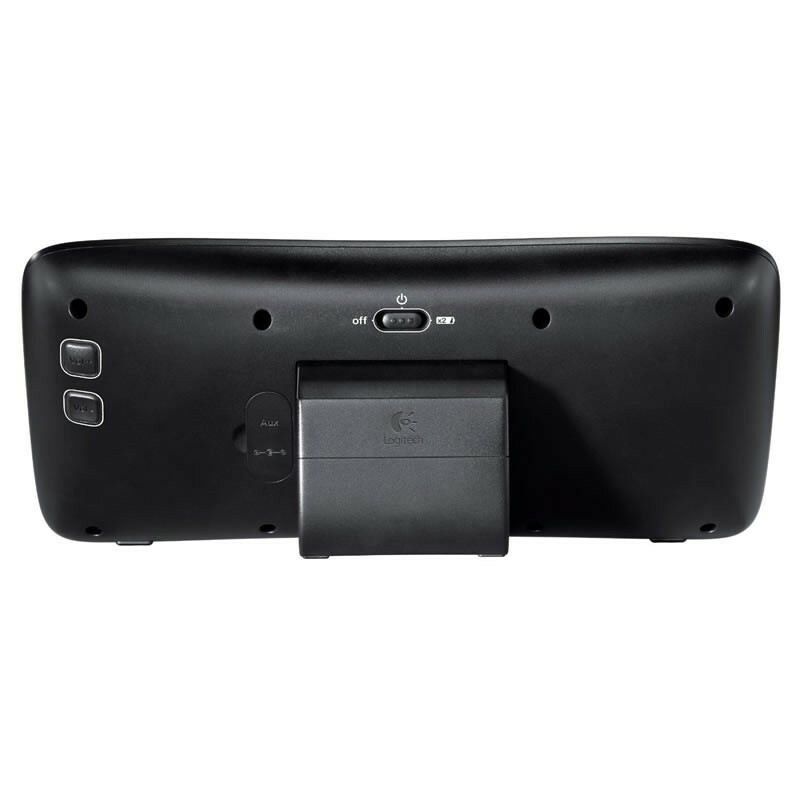 Logitech has made a several systems that specialize in portability and over the years they continue to improve. The S315i is a big improvement over earlier systems. 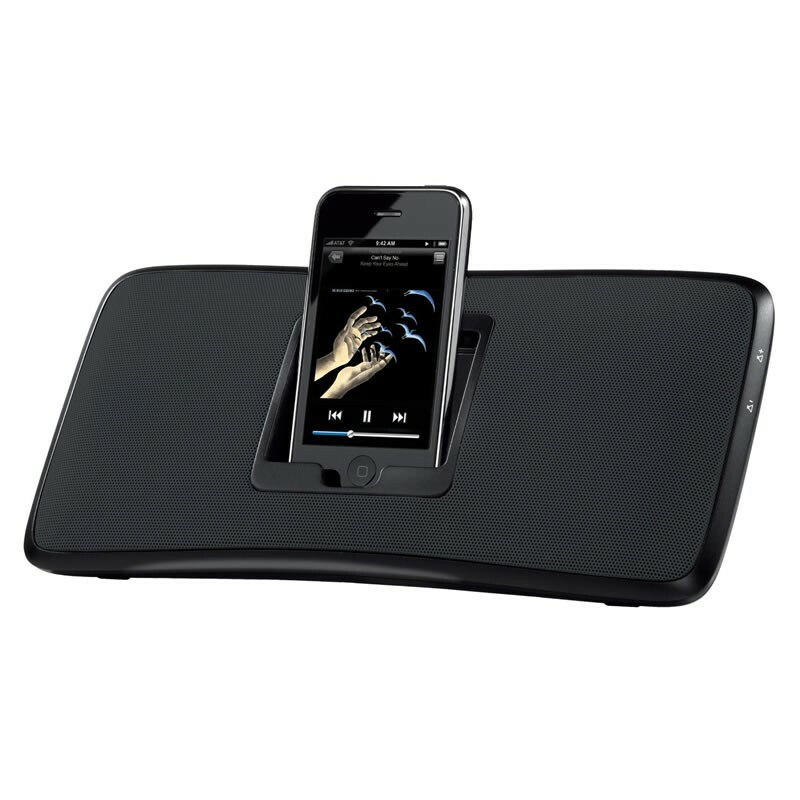 The iPhone/iPod dock no longer requires an insert allowing for future or forward compatibility. The sound and weight are excellent for the size. If your looking for a small, easy, portable, durable system this is your pick. The Logitech S315i is a beautiful system with a solid well constructed feel. Made out of high quality durable materials, the system gives you confidence that it will survive being thrown into a backpack or suitcase. 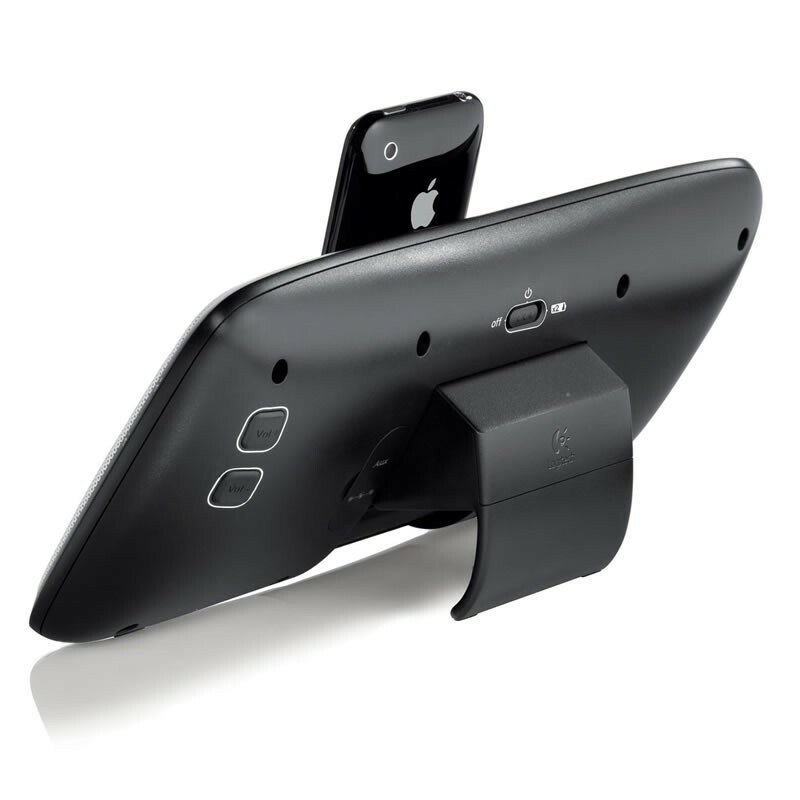 To attach your iPhone, push out the speaker stand to reveal the dock. The S315i uses the new Logitech docking standard which does not require inserts for different models of iPhones / iPods. The stand can then folded up to protect the dock when not in use and creates a sleek sturdy design. The button layout on this system is a vast improvement over earlier Logitech systems. To change the volume place your finger behind the subtle speaker icon for a nice distinguishable button to press. Unlike some other systems, its easy to feel when you have clicked the volume up a notch. Works great. Very simple and straight forward interface and operation. This is not sold as a premium speaker, so the sound could be a little better at higher volumes. With that being said I think most will be very pleased with the sound given its size, portability and price point. Most music and audio come through great, while more complex songs get a little distorted. Logitech has a great reputation, produces excellent speaker systems and computer accessories. For the sound, size, price, and feature set we consider the S315i to be an excellent value. This system will go anywhere you need it to go. If you’re looking for a beautifully made system that performs great, this system is worth considering. Could use better Highs and lows. Dynamics need improvement.